Faith, of course, means the belief in something that cannot be proved. That applies to religions and other beliefs, and to reincarnation: the idea that our lives are recycled over and over and we come back in different forms. It’s a lovely idea; I personally have an open mind about it and don’t really know if reincarnation occurs or not, but agree it could happen. Why not? I would never dream of challenging someone's belief or faith. After all, it's personal to them, and private, and deserves to be respected. But what if a scientist came along and claimed to be able to give evidence for a ‘faith’; to prove what was previously unprovable, using ‘scientific methods’? That would surely be something, wouldn’t it? Because with evidence, one wouldn’t need faith anymore: we could claim it was a fact. Of course, to be able to replace faith with a verifiable irrefutable fact, we would surely want to be 100% sure about the evidence being offered and to check it out. That’s what I’ve been doing with a book, written by a 'scientist', claiming to provide proof of reincarnation and past lives. 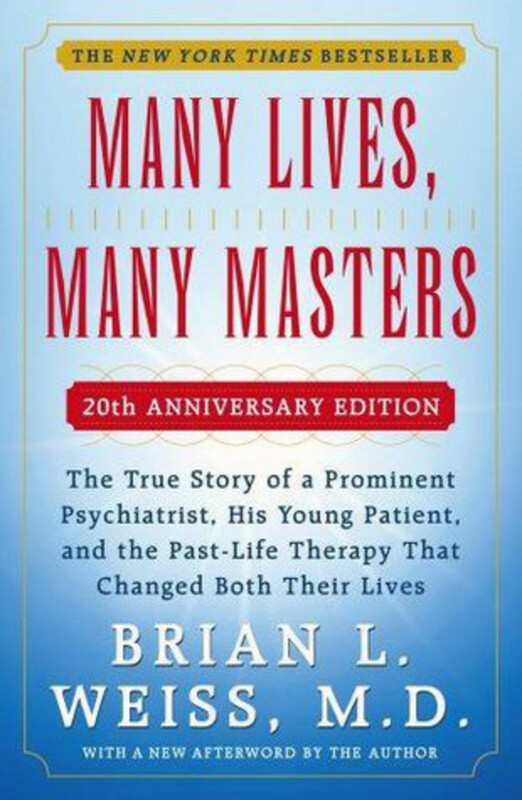 It’s called ‘Many Lives, Many Masters’ by American psychiatrist Dr Brian Weiss, and I’ve been checking it out. The book features one of Dr Weiss’s patients, called ‘Catherine’, who went to him for therapy. Subsequently he hypnotised her over many sessions. In her hypnotic state, Catherine revealed to him stories of many past lives spanning thousands of years. The book has given great hope to people that reincarnation really happens. It’s a best-seller with over 1.5 million copies sold and has helped to make Dr Weiss a ‘past-life’ celebrity, who often appears on TV. His book has also achieved exceptionally high ratings; if you go to Amazon, you’ll see that it routinely receives 4 or 5 stars out of 5. I first came across the book when a friend, who is a firm believer in reincarnation, lent me a copy. She knew of my dedication to ‘evidence based science’ and said to me, “Jon, here’s evidence that reincarnation really happens.” I promised to read the book with an open mind. One of the first things that struck me about this book was Dr Weiss’s statements that he was both a medical doctor and a scientist committed to scientific methods. So, this wasn’t just a book that relayed someone’s hypnotic stories simply as a curiosity that you could ‘make of as you will’. This was a book that the author claimed had science and evidence behind it; a book that boldly claimed on its front cover was “true”. Dr Weiss explained to his readers that he was, “driven to pursue the experience with Catherine in a careful, scientific manner” and to look at the information “objectively”. His biography states that he is a graduate of Columbia University and Yale Medical School, and is currently the Chairman Emeritus of Psychiatry at the Mount Sinai Medical Center in Miami. Certainly Dr Weiss’s training, discipline and profession would have taught him to follow the strict protocols of ‘evidence based science’. With such bold claims of scientific scrutiny, credibility and reasoning, this was surely a book to be taken seriously. No wonder my friend claimed that this book provided ‘proof’ of reincarnation. The eminent title, history and qualifications of the author alone made the book seem to be a work of truth and honesty, even before opening it up to read. Except, when I did open up the book to read, what I saw was simply unbelievable. And I don’t mean unbelievable in the ‘wow’ sense such as ‘unbelievable, they’ve found ice on Mars’ or ‘unbelievable, stem cells can be created from skin.’ I mean unbelievable because it was all completely unbelievable; it was nonsense. In fact, it was so unbelievable, I couldn’t quite believe how anyone had believed it, let alone given it five stars; let alone proclaimed that it represented ‘proof’ of reincarnation. As I went through page by page, I made a list of just some of the glaring, unbelievable statements made in the book, and added my own comments as to why they were just so unbelievable. Before I knew it, I had accumulated 3,500 words. It was the easiest 3,500 words I’d ever written – and probably the most fun and stimulating. Nonsense after nonsense; another one, another one and another one. This was better than fishing. I was netting whoppers. What was wrong with me? Couldn’t the other 1.5 + million readers of this book see what I saw – or rather couldn’t see? I could not see evidence; nothing like it; none of the promised science; no methodology; no controlled conditions; no sharing or replication of data; no credibility whatsoever. This was just a work of science fiction, not science fact. How could Catherine have seen a date that never existed at the time? On another occasion when Dr Weiss hypnotised Catherine in his clinic, his patient described herself as a 35-year-old German pilot in the Second World War shot down in France. Can you think of any reason why Dr Weiss, apparently trained and practised in the discipline of scientific truth seeking, never asked Catherine for the name, rank and squadron of the pilot she claimed to be before she was born? I cannot think of any reason; to verify Catherine’s story, it’s the first question I’d ask. But time and again in the book, Catherine revealed stories of her past lives and Dr Weiss didn’t ask her for full names and addresses. In another hypnosis session, Dr Weiss wrote of Catherine, “She had never heard of the Tibetan Book of the Dead. Yet she was relating similar experiences to those described in these writings. This was a proof of sorts.” This was surely not a proof of anything. How could Dr Weiss ascertain that Catherine had never heard of the Tibetan Book of the Dead? His scientific training should have taught him that it is impossible to prove a negative. I can understand to an extent why some readers might have believed ‘Many Lives, Many Masters’ to be genuine. There is a notion, completely unfounded, that what someone says under hypnosis must be true. That idea has absolutely no science or merit behind it and so, yes, it was a surprise to me that a medical doctor should want to propagate such an urban legend. If someone said under hypnosis that they had flown to the moon last night, or were invisible every Tuesday – and this and much wilder utterances have often been proclaimed during hypnotic states – it should be considered no more believable than if it had been said by someone wide eyed and awake and munching a Big Mac. Hypnosis is not a truth device. However, it can be a magnifier of one’s imagination. For those who’d like to read my full review with its page-by-page list of nonsense from this book, I’ve added a link to the bottom of this article. By all means boost Dr Weiss’s sales and check out the book for yourself; you may well be able to add to my list, which wasn’t exhaustive. Does this mean that reincarnation isn’t true? Not at all; it means nothing. The book neither proves nor disproves past lives or reincarnation. It’s just a book that re-tells the hypnotic stories of a girl who’d gone to her doctor for help. It offers no evidence or science, or even proof that the patient called Catherine existed. For those who believe in reincarnation, relax. 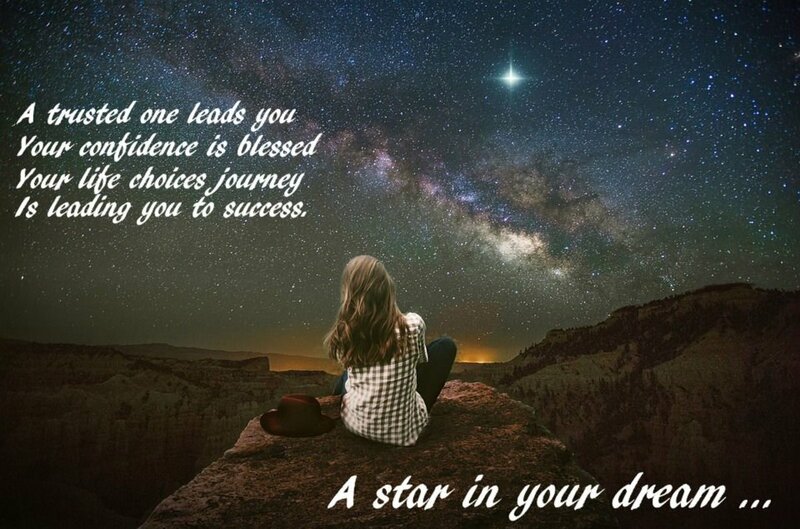 You can still have faith. Review Summary: Dr Weiss has conducted his research without scientific protocols or peer review. This, I believe, discredits his book as a work of fairy tale-like fiction. A book of science fact or fantasy? Great points to consider. I kept wondering why the real Catherine had no interest in cashing in on some of the fame and fortune that Dr. Weiss is enjoying. Also, there has to be someone who knows her secret identity and they would most likely sell the story of who is the real Catherine to the National Enquirer. It is not Catherine telling you the date and events, here she is the medium and Masters are allowing her to transfer the information. Thank you for your contribution Uncommonsense2. Yes, absence of evidence is not evidence of absence. Regression to past lives may be possible (I have no idea). The problem with Dr Weiss's books is that it claimed to scientifically prove something that it clearly did not. By nature I am a person who questions things. When medical doctors tell me something that there is supposedly science behind but my logical and analytical mind and/or intuition questions, I inquire further with that doctor, other doctors, literature, etc. What I have learned is that sometimes I am spot on and correct in what initially didn't ring true to me despite the fact it was an M.D. telling me, and sometimes after getting clarification I learn that there is actually a valid explanation for what I initially questioned as (possibly) not ringing true. With that being said, I would be very interested to know how Dr. Weiss would respond to each item listed here. I did a really quick Google search re the question of how someone being regressed could know the year is BC, and many past life regressionists address this seemingly common question. Someone else mentioned Dr. Stevenson. I've read only a small number of his case studies, but he seemed to make great efforts to disprove the cases he studied and at times even tried to trick people (like when driving a child to an address where she said she lived in a past life in a town far away, making a wrong turn on purpose, and the child then correcting the direction they were traveling). One does have to question scenarios I've read about, such as a recording of a young child speaking a language they've never been exposed to and a woman in England meeting adults a couple of decades older than her who she says were her children in Ireland in a past life, and this family of adult children in Ireland (Catholic/non-believers in reincarnation) being astounded at the innumerable very detailed descriptions of specific events of their lives as children. Or the child who started having nightmares as a toddler who was allegedly a fighter pilot in WWII and who actually named some of his squadron (who were found by the child's evangelical Christian/adamant against reincarnation father) who were then found and still alive and old men and then eventually the child met them and discussed details that only they would know. One thing I wonder about is the fact that science seems yet to be able to encompass or quantify (not sure what word to use here) what is commonly referred to as the sixth sense, yet I haven't met one human who hasn't encountered or utilized their "sixth sense" at some point in time. So, because there isn't science behind something, to me that doesn't mean it's not true (which I think the author also suggests but worded differently). I started MLMM once and stopped when I read the words "the year is 1863 BC." 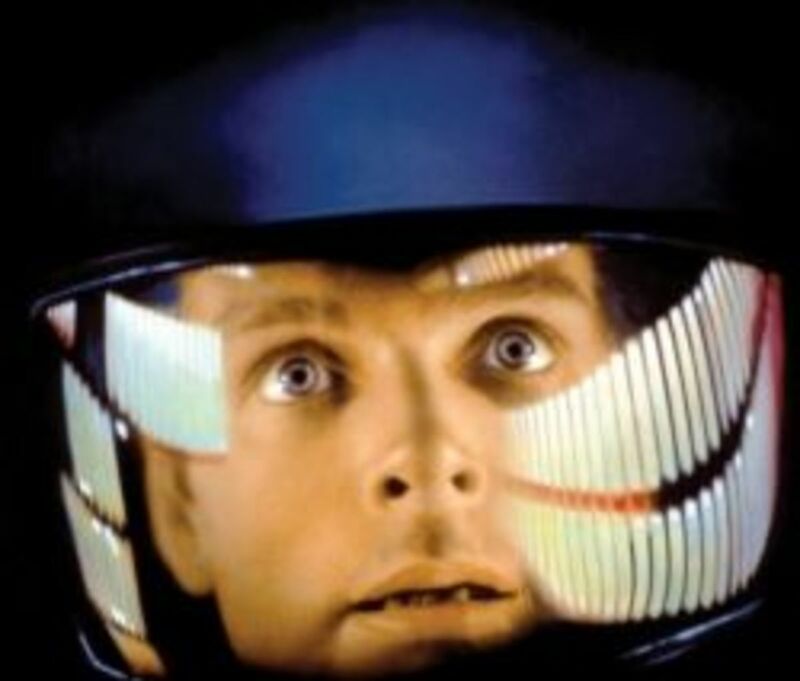 I am no scientist, but knew that in recalling a past life 3800 years ago, no one would name the date as anything-BC. I am surprised Weiss was so careless, and that so many take the book seriously. The tone of the book also is ridiculously sensational, which is disappointing to those of us interested in the possibility of past lives. I am wondering what you think of Michael Newton's work, which to me is written in a more objective manner, although much of it is as far-fetched as a person could imagine. I have experienced a past-life regression and admit it was profound while very ordinary (no Cleopatra here : ) and my memories certainly illuminated much about the dynamics of a current relationship. I have to doubt, though, whether these were actual memories or my imagination, that I may have fabricated exactly what I was seeking under hypnosis. "The ego-mind always wants a rational explanation," is what I was told by the regressor. Hi Jon! I can understand your point of view. I am myself a dentist from India and had my hands laid on many lives many masters. I must tell u that d hypnosis is still at a very juvenile stage as it needs more research.. But my own experience with remembering past lives has been life changing.. In fact to test the regression I personally got evry incidence testified.. All I can say is that you must undergo through a past life regression and see for yourself.. It may appear initially stupid but it can be a life changing experience for ever. Thanks Passer By. The most important consideration is that his book did not follow scientific protocols, and in science, nothing can be presumed. "So the reader clearly understood what he meant by this, Dr Weiss further wrote, “The important strides that are going to be made in this field will be made using scientific methodology. In science, a hypothesis, which is a preliminary assumption made about a series of observations, is initially created to explain a phenomenon. From there, the hypothesis must be tested under controlled conditions. The results of these tests must be proved and replicated before a theory can be formed. Once the scientists have what they think is a sound theory, it must be tested again and again by other researchers, and the results should be the same.”"
Dr Weiss did not follow the protocols he described. Hmm! I believe psychiatry is based on scientific theories! Yes? Hence I am assuming (when reading this book), that the Doctor ruled out the various syndromes that could have possibly led to Catherine's fantasies (drug abuse/dissociative tendencies/sociopathic traits/schizophrenia/mpd/bipolar etc etc) through scientific medical examinations and tests! (which were not detailed out in the book though mentioned). As for verifying whether Catherine was really speaking the truth or not, we do not know if the doctor researched the validity of her revelations or not!! Any curious normal sane human would! Being a doctor, and of his caliber it seems quite unlikely that he wouldn't have! He mentioned that his wife participated in the hypnosis sessions as well. She often played the devil's advocate to question his methods and his conclusions. Therefore, it couldn't have been just a fairy tale fiction! May be we can say, as an author he did not describe his process well enough to prove his scientific methodology. There are so many things in this world that are hard to explain and reason! Guess, it's one of those things! PS: Am not trying to challenge your review here :) Please don't take it otherwise. In fact you have put down your points very well and that led me to rethink on the book. Just wanted to share my thoughts. Thanks for your contribution "passer by". Of course, readers are free to reach their own conclusions about the book. My role, I feel, was to challenge the book on a scientific level, as Dr Weiss purported that his work followed scientific protocols. I think my review demonstrated that on this, the book failed. Thanks for your contribution, Wayne. Of course we concur. I am an investigative journalist, but I don't think it's necessary to spend resources trying to find out if 'Catherine' existed. Whether she did or not, there is no evidence that this book has anything factual to offer. "It offers no evidence or science, or even proof that the patient called Catherine existed." "Catherine" does not appear in either the dedication or the acknowledgment section. No jornalistic interview of Catherine exists and no cross examination of Catherine by other psychological or psychiatric professionals can be found via the usual search engines. In the books preface, Dr. Weiss compares this phenomenon that he *co-discovered* with his patient Catherine to the discoveries of Galileo, yet Catherine never appears with him at his profitable past-life seminars and I see no evidence that Catherine is being compensated for her role in Weiss's very profitable book. Something doesn't sit right - if this is a Galileo-level discovery, and if Catherine had a central role in it, then why isn't she in the dedication or the acknowledgements? Why isn't she appearing alongside Weiss? Why is she essentially hidden from media? Why hasn't she been evaluated by other clinicians? Why isn't she sharing in the profits? You can bet that if it were me, and my therapist wrote a best selling book and a super-profitible practice and franchise from the discoveries that I would want my cut. I suspect that the odds are good that all it would take is one skilled investigative reporter or blogger to spend enough time snooping to reveal that Catherine never existed. Chuck, thank you for your contribution. My criticism of the book is that it purports to be a work of scientific discovery, when clearly it is not. As a work of fiction, it's quite entertaining; but it is disingenuous to describe the book as "scientific", and Dr. Weiss was censured by the medical profession when his book was first published. I have no idea why Dr Weiss was motivated to write his book; I am not against him publishing it. My review simply challenged the evidence contained in his book. It's one thing for him to hypnotise a patient who described past lives; it's quite another to claim that his patient's stories were true, or even that his book scientifically proved anything. I read the full review. I agree that he made too much out of being a scientist and using science. But he is not a chemist or a physicist. As far as a psychiatrist being a scientist they used to cut out parts of people's brains to help them and still use electric shock to help people. That is not really science to me. But medical doctors are supposed to be scientists, right? In the late 1800s in the U.S. the most popular treatment by MDs was bleeding or bloodletting. George Washington had a sore throat and the doctors bled 3 pints of blood from him and he died. So the noble doctors did all that they could, but God decided that it was his time to die. You did not offer a theory of why he made this up. Do you think that he did it to sell a book or he has schizophrenia and imagined it? I do not think that he set out to prove reincarnation but to share with people something that happened to him. 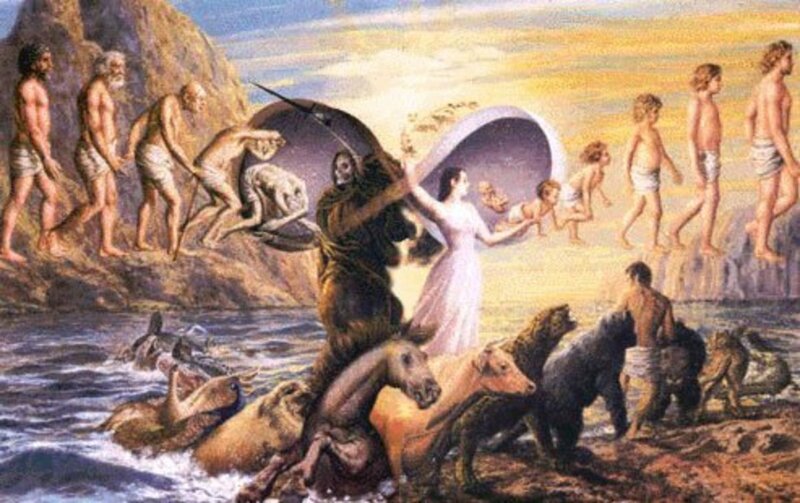 I have an article about reincarnation that links to yours. I will go and read your full review of Dr. Weiss's book. I believe that Dr. Weiss was ambushed by all this when he did not ask for it. Here is more information on that story. The New York Times has an article about Dr. Weiss training other psychiatrists (all psychiatrists are MDs) to do this. One of them that does this past life hypnosis, does not believe in reincarnation but feels that people imagining something happening in a past life helps them to heal. You have heard of Scientologists Tom Cruise and John Travolta. L Ron Hubbard wrote the book about Dianetics that used something similar but different than hypnosis to help people remember past traumatic events. When all these events in your entire life are processed you are a "clear" that is like a perfect person (no issues). This was a complete system. But people doing this were having memories of past lives. So L Ron Hubbard told them to ignore it. But then he tried treating it like it was real and this guy recovered more in one day than in many months. So this ruined his system of Dianetics since now people cannot become close to perfect since there is all this stuff from other lifetimes that need to be processed. So that is why he changed the name to Scientology. And it's funny that there are so many Cleopatras and Napoleons and so few scullery maids and dustmen. I do not know if it is true or not, but I do have a question. How many people have been Cleopatra? Maddona is one of them. There are others. Just wondering. Hi Will, thanks for your contribution. I didn't actually write that reincarnation is unprovable. I wrote that it was previously unprovable, which I am sure you'd agree is somewhat different. Everything is open to be proved or disproved. I agree with you that Dr Ian Stevenson conducted some interesting and noteworthy research. Although Dr Stevenson's methods received mixed reactions and called 'pseudo-science', he did welcome peer review of his work. His contribution, however, cannot be regarded as conclusive. The road to consensus on 'proof' and 'evidence' is a long one, but that doesn't mean to say that 'reincarnation' could not eventually be proved if it truly occurred. The unreliability of hypnosis is well known in Eastern esoteric literature. While it does not deny the possibility of recalling past life memories, an untutored subject under hypnosis is very likely to confuse the psychic images from those planes (which can either be real or those planted there by anyone with a powerful imagination) with what they suppose are their own life experiences. Now are you sure we can say that reincarnation is unprovable? 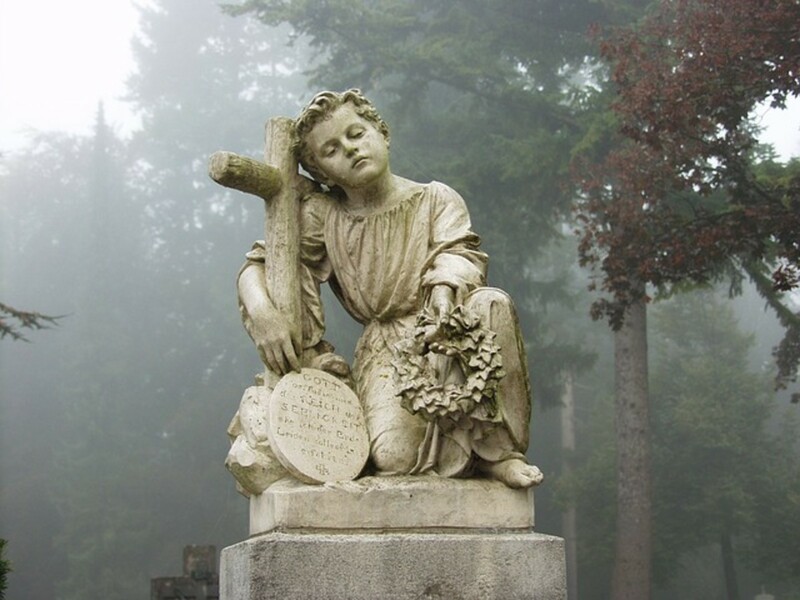 The well researched work of the late Dr Ian Stevenson of Virginia University provides what I understand is quite solid evidence of childrens' recovered memories from past lives. In contrast to the case you make on Dr Weiss' work, consider what was written in Dr Stevenson's obituary. "His greatest frustration was not that people dismissed his theories, but that in his opinion most did so without even reading the evidence he had assembled".